Tucson Lifestyle is the region’s only audited monthly city magazine and is targeted to Southern Arizona’s most affluent residents. 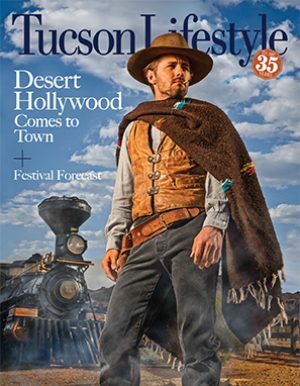 With more than 35 years of publishing experience., Tucson Lifestyle is even more committed to highlighting the people, places and lifestyle that make our city a glorious place to live. The magazine is targeted to residents, visitors, and newcomers alike. Our mission is to showcase the very best of the community. Regular departments focus on local citizens of note (Notable), Event Calendar, Dining Guide, and the latest in Entertainment, Fashion, and the Arts. Feature articles — ranging from homes and gardens to arts and entertainment to fashion and fitness — The best of the Southwestern lifestyle each and every month. Parent Company: Conley Publishing L.L.C.